Even though cannabis isn’t federally recognized as a medicine, more and more people are beginning to believe in it’s positive effects. But since smoking has such a negative stigma attached to it, there are some people who would rather eat their cannabis as compared to smoking it. Cannabis has been mentioned throughout history as a medicine all over the world. It helps with nausea and vomiting, along with patients suffering with AIDs and has been used to treat severe neurological disorders, chronic pain, and muscle spacticity. There is also research that show cannabis can destroy certain cancer cells and slow the rate of others, including an aggressive form of brain cancer. So why eat your cannabis rather than smoke it? When you eat cannabis in a cookie or brownie or whatever (you can basically cook cannabis in to anything these days), the edible is introduced in to the body via the gastrointestinal tract. Your body then converts the inactive form of THC to delta-11 THC, a compound that has far different effects than the delta-9 THC that is produced when cannabis is smoked. When cannabis is eaten, delta-11 THC gives the user the effects of both compounds, which can lead some people to freak out. The high you get from edibles is much different than the high from smoking but it can have serious benefits to patients who need it. First off, eating cannabis is easier on the lungs. It eliminates coughing and sore throats and doesn’t produce the smell. It is subtle and perfect for patients who need to medicate discretely. 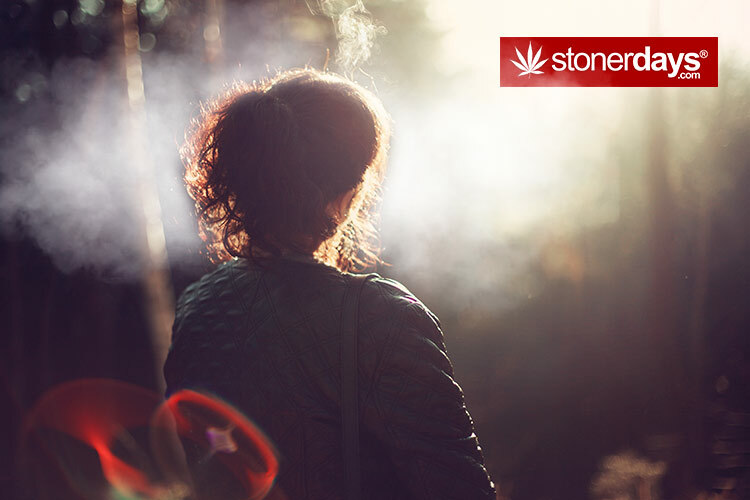 Smoking cannabis leads to an almost immediate high and lasts for about 1-3 hours and then suddenly, you aren’t high anymore. Edibles take about 30-90 minutes to kick in but they last for up to 7 hours, with a gradual descent that leaves the user feeling rested rather than burnt. Considering the longer lasting effects of edibles, ingesting pot would be much better for patients who need long term relief. 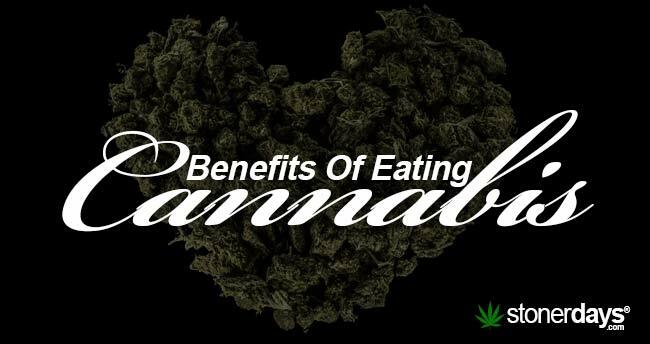 Eating your weed also distributes the high feeling to your entire body, making edibles an effective painkiller. 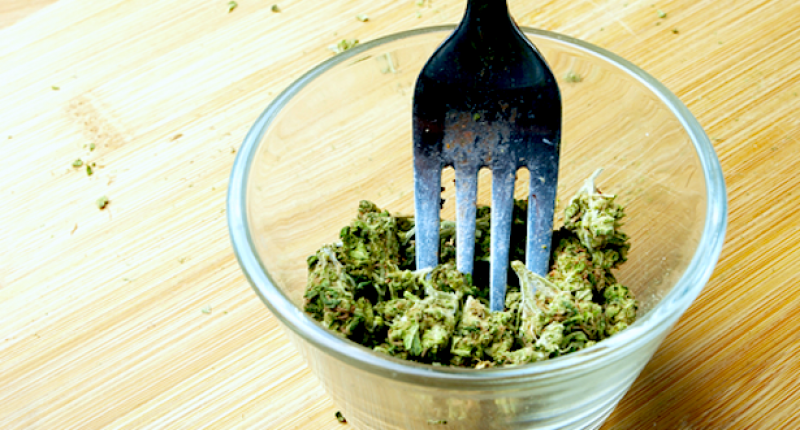 It is not uncommon to find someone who supports edible-only medicating. The effects of edibles are very potent and helpful to those who need it. However, the fact that they are so strong and have such a slow onset may be their downfall. In some places, edibles are banned due to their being blamed for accidental deaths and emergency room spikes. It is obvious that some people do need to be educated on how to ingest their cannabis but that shouldn’t mean that all patients suffer. This entry was posted in Featured, Stoner Guide and tagged cannabis.